Tensile Car Parking Structure Scratching your head over a car shed? Well, not anymore. We provide a wide range of car parking tensile structures both for your sweet home and for commercial spaces. 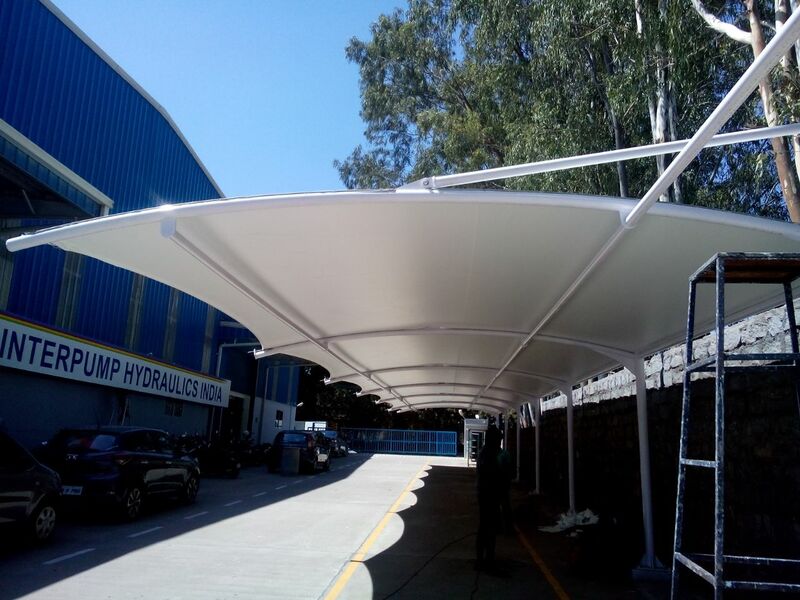 Easy in installation and frugal in maintenance, tensile structure type is one of the most sought after car parking shades. Within a short duration since its inception in the Indian market, it has created a place for itself. Manufactured using state-of-the-art technology and fine quality raw materials, the protection provided by it against harsh sunlight or biting cold or pouring rains is unparalleled. Once erected over your car shed, you are warranted a structure which provides you with weather resistance, strength, aesthetics and unparalleled elasticity. So don’t mind stretching your car parking tensile structure to accommodate your two wheelers as well. Vertical Drop Awnings In Chennai Our Vertical Drop awnings are a perfect answer to your shading needs. We provide a wide range of Vertical awnings that provide shading solutions to large open spaces like verandahs. Can done manual and motorized. Retractable Awnings In Chennai An Awning or overhang is a secondary covering attached to an exterior wall of a commercial or a residential building. An awning can be placed above a window or a door, and can be used as an interior enhancing accessory on decks or patios. Awnings provide a sheltered space to further enjoy an outdoor setting. It comes with manual and motorized. As a further benefit, if the awning is placed over a window or glass doors, that can keep the temperature cooler by preventing sunlight from shining through the glass.